Imagine taking a 500mm lens on safari that is, at first glance, easily mistakable for a 70-200 2.8. 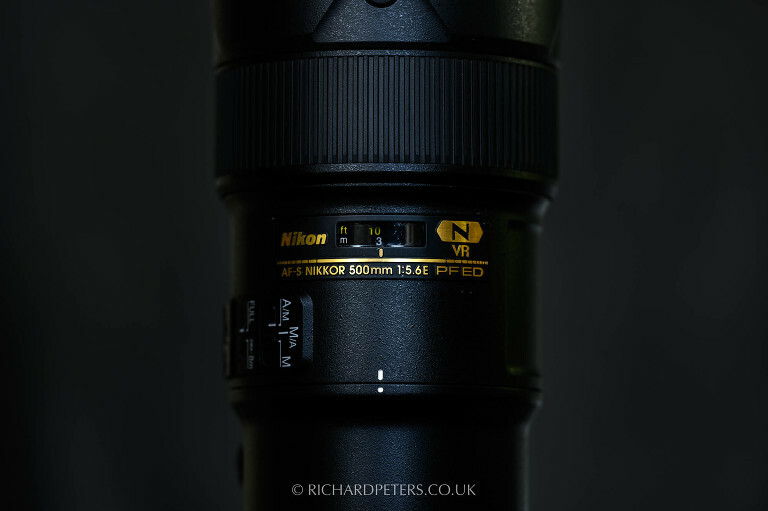 With Nikons latest addition to the PF lens range, the 500 f5.6 PF, wildlife photographers have been given exactly that. A 500mm lens that isn’t far off a 70-200 f2.8 in size and weight. I’ll just say that again, a 500mm lens that is, essentially, no harder to manage, travel or carry, than a 70-200. That is a (very small) big deal. 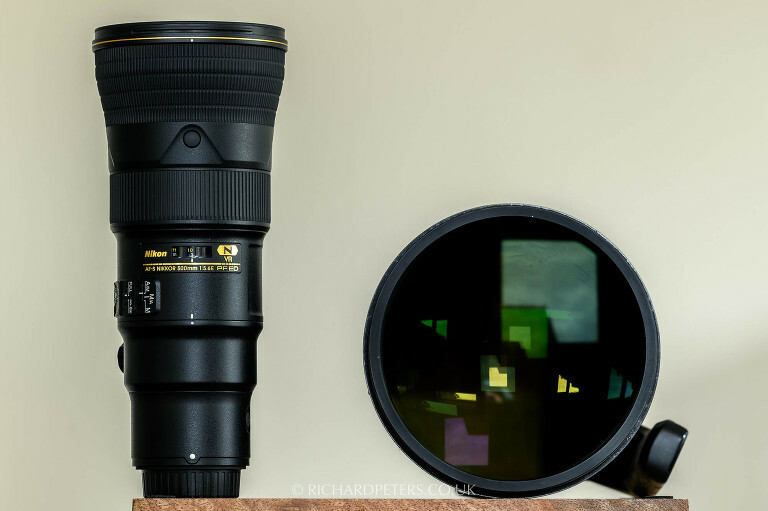 Ever since the 500 PF development announcement I was was intrigued and excited to see just what this lens would look like. We all knew it would be small. The 300 PF taught us that. It wasn’t until I was handed a pre-production copy of the lens, a month ahead of it’s worldwide announcement, that I was able to see first hand just how incredibly compact the second addition to the Phase Fresnel family is. Eagerly I found myself packing it into my rucksack, to take on a three week safari to the Masai Mara. At this point I’d like to point out I was able to fit both my D850’s, gripped, my 400E FL, 70-200E FL and the 500PF in my Mindshift MP-3 bag. That’s a lot of kit in a carry-on sized bag. It’s the first clue as to how ground breaking the 500 PF could be, for wildlife photographers who travel frequently. Before we get in to the meat of this 500 PF review, just for fun, here’s a couple of specs that compare the 500 PF to the 70-200 E FL and 500 E FL. 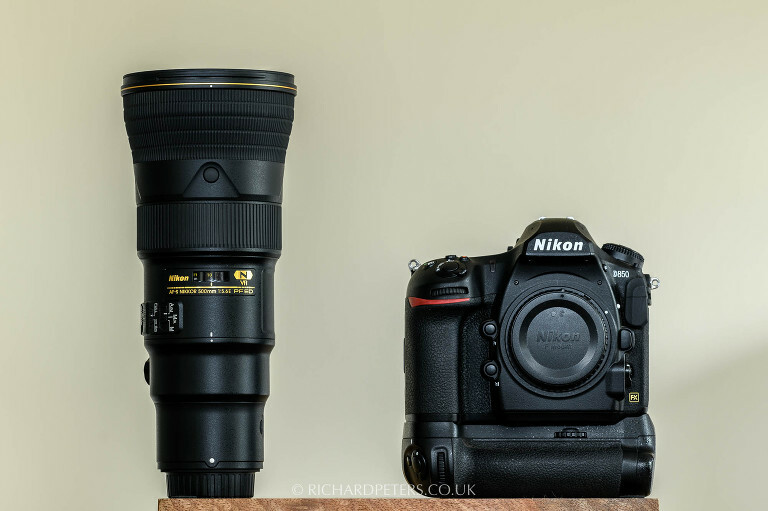 It’s a lens that is an alternative to one whilst being almost the size of the other! 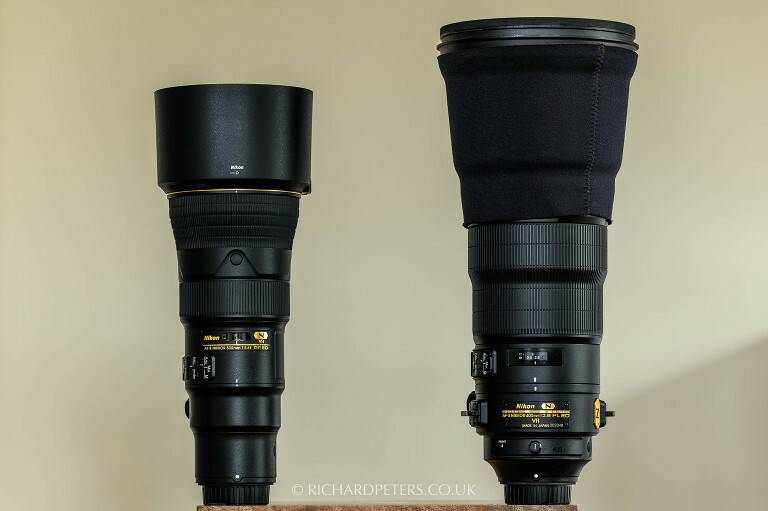 Now of course both of those lenses are faster and offer different strengths (and weaknesses) but the above offers a good indication of just how the small the 500 PF is when stacked up, from a numbers game. For even more technical information head over to Nikon’s website. And for a real perspective on the size of this lens, the slideshow below offers images of the 500 f5.6 PF alongside the 300 PF, the 70-200E and the 400E. It’s one thing to say how small this 500mm is but quite another to see it, when compared to other lenses. Use the arrows in the gallery below to switch between different comparison images. The caveat to using the lens was that, much like my time spent using and reviewing the 180-400 1.4TC pre-release, I had to keep the 500 5.6 PF covered up and away from prying eyes. This was surprisingly easy to do in the dusty Masai Mara. Wrapping it up didn’t attract attention, with the assumption being that I was simply trying to keep my kit clean. In this disguise, it was actually mistaken for a 70-200 on more than one occasion, although I ensured nobody ever got close enough, for long enough, to realise otherwise. Please also note, all images in this review were shot wide open at f5.6 and f8 for those without and with the TC-14EIII respectively. The 500 5.6 PF is only marginally longer than the 70-200 E FL, with the exception of being wider as it reaches the front element, to accommodate the 92mm opening. In practice though, the two feel very similar when in use and even share the same lens foot, at least the detachable part in any-case. In the hand, the lens balances incredibly well with even weight distribution and, when paired to a gripped D850, offers an exceptionally capable setup that can simply be held for hours at a time – because this combination actually weights less than just the 500 f4 E FL on its own. Aside from weight saving, where the small footprint really comes in to play is when shooting from confined spaces. My routine on safari is for me to sit in the front seat of the truck, next to the driver. My beloved 400E FL rests on my lap. Then when a good sighting is made I lift it up on to my beanbag, trying not to bang the lens hood into the dashboard or side of the door. I wanted to have a good basis for comparison on size and so, when I arrived in Kenya, for the first two days I continued with this approach before switching to the 500 PF. Working this way, using the 400E FL before the 500 PF really helped emphasise how small the 500 is. In fact it is shorter with its lens hood on than just the 400 without hood. Plus, less than twice the height of the 400E FL front element diameter. Switching to the small PF lens, and the ease in which I was able to manoeuvre such a long focal length in such a confined space, was a breath of fresh air. It enabled me to easily shoot over my driver and through his window. Both in situations where we couldn’t turn the vehicle in time or due to physical obstacles. Similarly it allowed me to position myself in all sorts of twisted angles to hang the lens out the window. I could get angles and viewpoints that would simply be impossible to achieve with my 400 f2.8. Being able to react quickly is often the difference between getting the shot or not. The small size of the 500 PF makes reacting so much faster, than with a bulky fast prime. The lens also features a metal locking/release pin on the lens hood, much the same way at the 70-200E. Which is a nice improvement over the all plastic twist-to-lock all plastic lens hood of the smaller 300 PF. Turning attention to the optical performance of the 500 PF, it will come as no surprise that image quality is excellent. Paired with the D850, results are outstanding. The 500 PF is designed to be shot wide open and it’s clear every effort has been made to ensure there are zero compromises in doing so. Images are packed full of information and colour. 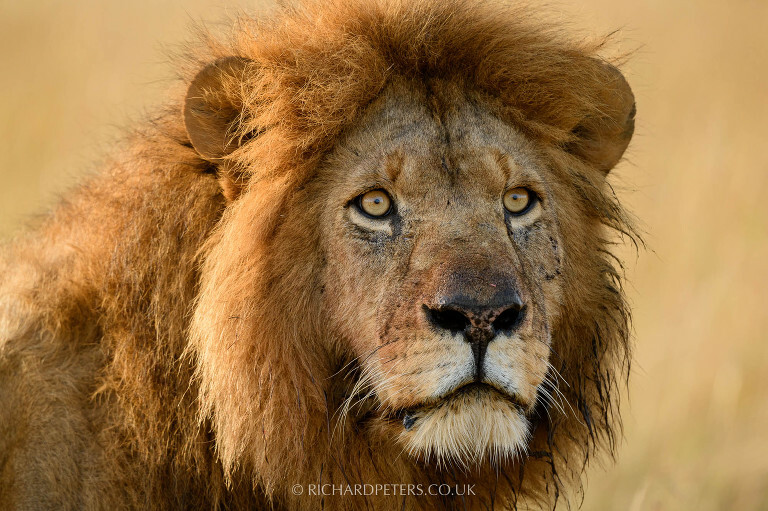 Portraits of lions resulted in crisp, detailed eyes, fur and even the wings of flies walking around their faces. Every last bit of subject detail is picked up and transferred to the sensor, seemingly without compromise. I’ve no doubt you could pixel peep and find softness compared to the latest E FL generations of the 400, 500 and 600 fast primes but the reality is, you’d have to be unnecessarily picky to find flaw in the 500 PF image quality. I wouldn’t hesitate to blow up images taken wide-open to 5 feet and beyond. The reality for me was that soft images are the result of either miss-focus, incorrect settings or user error (yep, user error gets us all at some point). So we have a super light, compact and optically superb lens. What’s the catch? Well that’s easy. Subject isolation. Again, a limitation of f5.6 versus faster f4 and f2.8 lenses is the depth of field offered for any given focus distance. That’s something that can be an issue at times with the smaller 300 PF but is not so much of a problem with the 500. Thanks to the longer focal length, subjects with which you cannot get so close to, can still fill the frame. As such, backgrounds can still be rendered nice and soft for the most part. Subject distances relative to both you and the background become slightly more important, as the below two images illustrate – use the arrows to switch between them. Birders worried about close focus for small targets will be happy to know the closest focus is 9.8 feet. That’s two feet closer than the 500 f4 E FL. By comparison the 200-500 f5.6 will focus down to 7.2 feet. The zoom is a very different lens to the PF prime though, both in optics, size and weight. Compared to the 500 f4 however, that close focus means one important thing. You can claw back some background blur and subject isolation, in some situations. As with the 300 PF, the 500 f5.6 PF does come close to being almost too light for its focal length. Crucially however, it’s on the right side of that balance. It’s important to have some weight to longer focal lengths as it helps you keep things steady. So it’s nice to see Nikons engineers have found what I believe to be the perfect weight. Offering a lens that’s light enough to hold all day but just heavy enough to be able to hold stable. That being said, I did find myself enjoying the use of VR to solidify the viewfinder. Particularly as the D850 favours a steady hand to squeeze every bit of sharpness from the lenses it is paired with. The Sport mode proved to be very helpful when panning wildebeest running past the truck. Again, as referenced earlier, following the animals as they ran past my window proved to be a far simpler task handholding the PF versus trying to wield my 400 f2.8 would have been. If there is one area that will suffer from a slower f5.6 aperture, logic dictates it will be in the focus performance. That aperture is simply going to reduce the light your DSLR’s focussing system has to work with. Before I get asked to quantify the focus speed versus other lenses, especially against something like the 200-500 5.6, I’ll stop you there to highlight one important factor in assessing focus performance. Testing side-by-side with other lenses, in controlled situations, doesn’t interest me. It simply isn’t relevant. What is relevant is how equipment copes in real-life shooting scenarios. After several weeks using the 500 PF I came to the conclusion that, considering the aperture, focus speed and target acquisition was actually very good. Granted I never had the opportunity to photograph anything moving fast and erratic. But, in bright light, I often forgot I was using a ‘slow’ 5.6 lens. When the focus is already in the ball-park of the subject, it’s more than capable of keeping up. In those scenarios, switching focus plane is quick and snappy. There are limitations of course, because slower aperture lenses will always start to struggle when light levels are reduced. It cannot be escaped and must be remembered as a downside to counter the other benefits such lenses bring. Certainly I found that as light levels dropped and contrast faded, the 500 PF would start to hunt a little. With care taken however, it would still lock-on to my targets. For example a lion at dusk, with the TC-14EIII, required me to more carefully focus on the eye. The tones of the lioness blended with the grass in the background. So, I had to ensure my focus point was on the slightly more contrasty eye. DSLR’s with higher end focus systems will also give and advantage here. Especially those with more of the sensitive cross type focus points to play with. I was pleasantly surprised on a few occasions when I expected the 500 PF’s focus to struggle, but it didn’t. The most notable cases were photographing a lioness by shooting towards the rising sun, rendering the entire scene in a very low contrast orange glow. Secondly one morning photographing two hippos fighting. The mist floated above the river and sun rose behind, reducing contrast and providing soft subtle backlight. Yet here, the lens performed admirably. Adding a 1.4x TC, the TC-14EIII teleconverter, to the 500 PF offers a 700mm f8 combination. Doing so comes with some compromise because at f8 autofocus is pushed to the limits. Both in speed and acquisition. With the D850 the most sensitive centre and outer focus points will still lock focus. Care needs to be taken though as contrast in the scene drops. I found on a couple of occasions that manually overriding the focus to get it back on track, allowed the autofocus to lock on again but this was only in low light scenarios. In good light, although the focus was naturally slower, it was still able to lock-on to targets with ease, even vultures coming in to land on a fresh carcass. Much like when using the lens without a teleconverter, I found that whilst sharpness does take a hit with the addition of one, I was still more than happy to shoot wide-open. Just like the smaller 300 PF, the 500 PF handles a TC-14EIII 1.4x teleconverter extremely well. I didn’t put the TC-20EIII on the lens. Doing so would lose autofocus. Whilst a tiny 1000mm lens sounds tempting, the loss of autofocus and an aperture of f11 isn’t practical. It’s simply not a combination suited for wildlife photography. As I wrote this review I realised I have a small problem. It’s possibly too positive. Those who know me and my review style will know I always try to offer a balanced opinion. And I tried to do that here but it wasn’t easy, because this lens is exceptional. The 500 PF is optically very impressive. It’s light. It’s compact and for the limitations of a 5.6 lens, it focuses very well indeed. So is there anything actually wrong with it? To be honest, no! 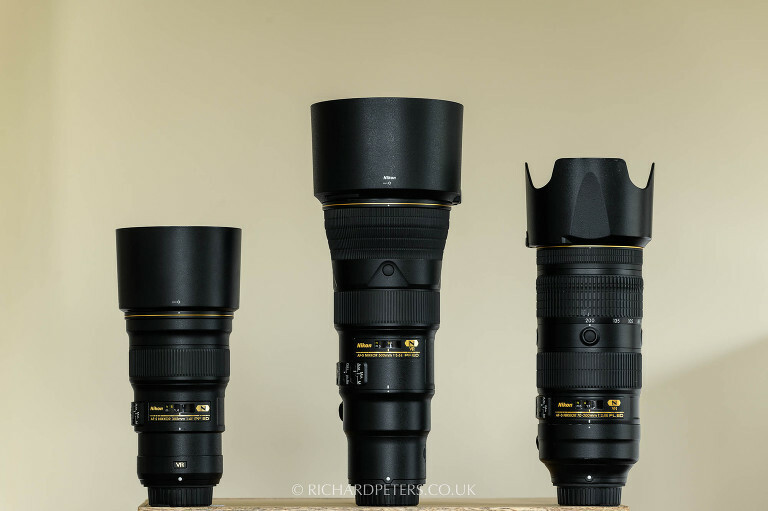 On the provision that those buying understand the limitations of a 5.6 lens, with regards to subject isolation and focussing in lower contrast, it offers an incredibly compelling package at an exceptionally good price point, relative to its bigger f4 brother. In essence, much like the D850 and 180-400 14TC, for me it’s Nikons third home run in the space of a year. With that said, of course the 500 PF isn’t about to make me give up my 400E FL (I’m not sure what could ever make me part with it). I could certainly see it as a useful addition though. Especially for those occasions the 400 is simply too much lens to carry. And, if I was in the market for a 500mm prime lens, I’d have to think long and hard about just how much that extra stop of light between the f4 E FL and the f5.6 PF was really worth. Ultimately the 500 PF builds on the already phenomenal success of the 300 PF. 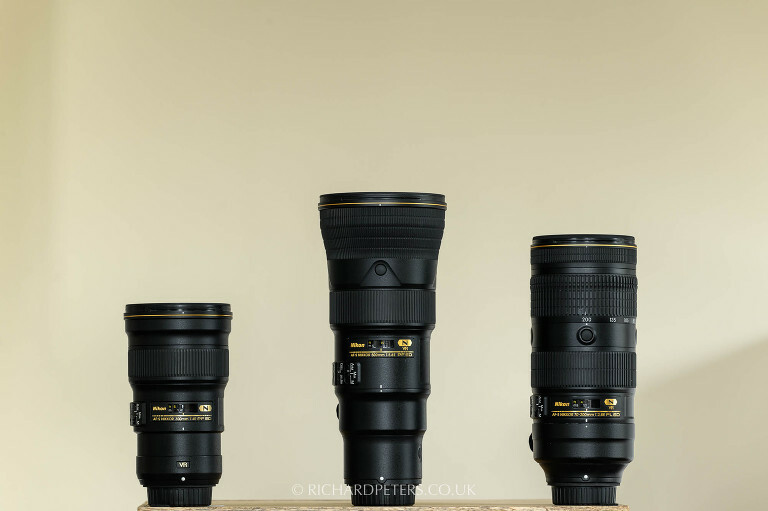 The idea of having these significantly smaller and lighter telephotos, offering stunning image quality for those that can forgo a stop of aperture, means travelling and manoeuvring to get wildlife shots is just that little bit easier. The bar was already set high with the 300 PF, in fact I (in a slightly sensationalist way) jested at the idea it could be the death of the super telephoto. Whilst I don’t quite think that’s the case, because nothing truly beats the subject isolation and low light focus of those faster lenses, the arrival of the 500 PF is certainly shifting the perception of what’s possible. Traditionally wildlife photography brings to mind the idea that, for the best results, a large and heavy telephoto is needed. That notion is changing. Sure these bigger, faster lenses are reducing in weight all the time but crucially, they’re still physically big. And that’s where these PF lenses really shine. Even after three weeks of travelling and shooting, I still found myself surprised by just how small and light the 500 PF is. Every time I picked it up, I marvelled at how close subjects appeared in the viewfinder, relative to the size and weight of the lens in my hand. The 500 f5.6 PF is a remarkable lens. 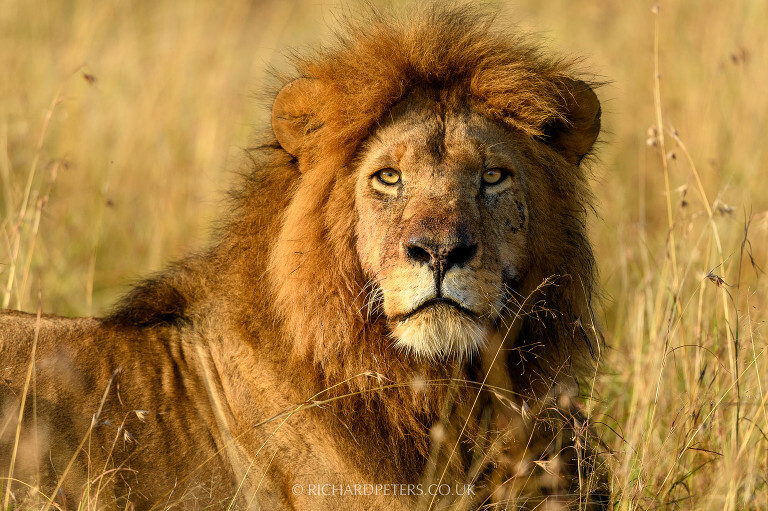 Potentially, for those who don’t require more specialist features, it’s one of the best all round telephotos currently available for wildlife photography. It is small, sharp, light and packs a powerful punch. When you use it for the first time, you’ll think so too!